Tim has been developing websites since January of 1997 when Sheldons’ Inc. approached him with an idea of putting their products on the web. Sheldons’ is still working with DigiSage today and they have been operating successful online stores for Mepps and Mister Twister for 18 years. Tim has a Master of Software Engineering and a Bachelor of Computer Science degree from the University of Wisconsin – La Crosse and worked as a professional web developer, software test engineer, and as a multi-platform software engineer before co-founding DigiSage. Tim, his wife Deanna and children Maggie and Parker live in Green Bay, WI. When not doing web development he enjoys spending time with family and friends, traveling and photography. Bob has been working with websites since his time as a student network administrator for the University of Wisconsin – La Crosse in 1994. Bob has a Master of Software Engineering and a Bachelor of Computer Science degree from the University of Wisconsin – La Crosse and has worked as a professional web developer, product manager, engineering group manager and senior software engineer. Bob lives in La Crosse, WI with his wife and children. When he’s not working on websites he can be found on the bike trails or off in the woods trying to combine the hobbies of geocaching and photography. Sarah launched her career with a marketing agency in 2007, where she served for nearly ten years providing clients with marketing strategies and managing large website projects. Today, Sarah serves in much the same capacity for DigiSage – helping clients develop and execute smart marketing plans, helping manage projects, and providing clients with service and support. Sarah has an MBA and earned her undergraduate degree in Communications with an emphasis in Public Relations from the University of Wisconsin – La Crosse. She actively participates in the community by serving on the Board of Directors with Habitat for Humanity and Rotary. In her spare time, she can be found hiking the La Crosse coulees and bluffs with her husband Tony and labradoodle Basil. After receiving his Commercial Art degree from Western Technical College, Jason launched his career in print design and has continued to grow his design skills ever since. 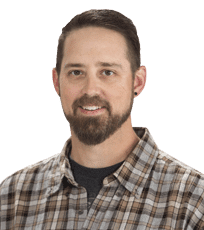 Over his 20 years as a professional designer, Jason has soaked up a ton of knowledge from diverse experiences working with a variety of clients, marketing professionals, and web developers. This experience enables him to provide designs that both serve clients’ needs, and that he feels proud of! Jason lives in La Crosse with his wife and children, where he enjoys spending time with family and friends, wandering local trails, and disc golf. Top-notch support: If you have a question or a problem, simply contact us and we will help you as quickly as possible with personal service. No mysteries: Technology can be tricky and sometimes difficult to understand. We’ll explain anything you’d like to know in plain english. Wonder why we recommend a certain approach? Wonder how your competitors accomplished something on their website? Wonder what it would take to get that “cool feature” for your own? Just ask! Clear invoicing: The level of personal attention we provide is something only a small company like ours can offer. Bob and Tim’s Dad is the company bookkeeper and both of us personally review every invoice. There will never be surprises on your bill. Honesty: We are open, honest and candid. We believe this is the only way to run a company. If you are curious about something, just ask. Flexibility: We won’t shoehorn you into a fixed process. We’ve led projects with 200 page requirements documents using professional project management methodologies and we’ve worked on projects designed over a beer and documented on a napkin (guess which one is more fun). We’ll work with you to determine what is best for your project. Stress-free relationships: Once we learn each other’s working style, it gets comfortable and fun. How many times have you worked with a company where the original team is no longer there for your second project? You won’t find a disappearing act here… we’re in it for the long haul.